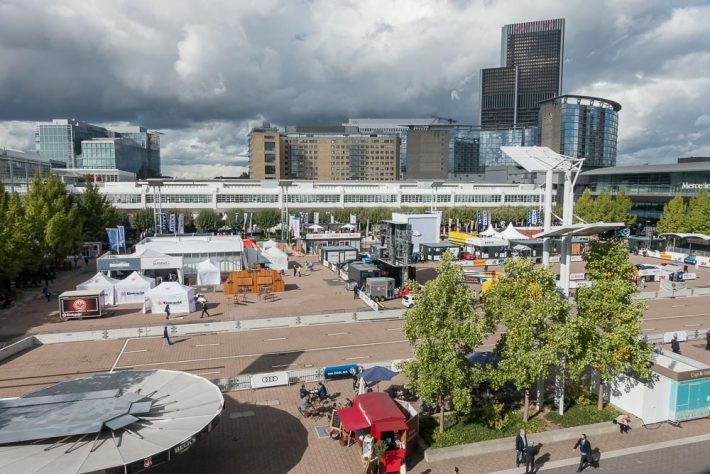 The IAA is upon us once again, a motor show mainly hosted for manufacturers to show off their new concepts and future prospects. Last time we attended the IAA was in 2015. And they had some pretty spectacular cars on display. This year is no exception, as I set out to highlight some of the hottest cars to be unveiled on the 2017 IAA. 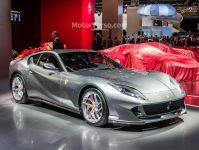 One of the biggest occasion to occur on the 2017 IAA is perhaps the debut of Ferrari’s latest ‘entry-level’ model. 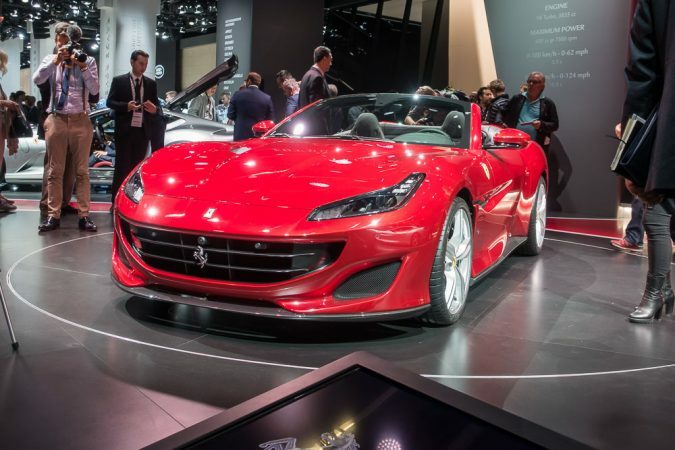 Made to replace the California T, the Ferrari Portofino is the latest offering to debut from the Maranello firm. 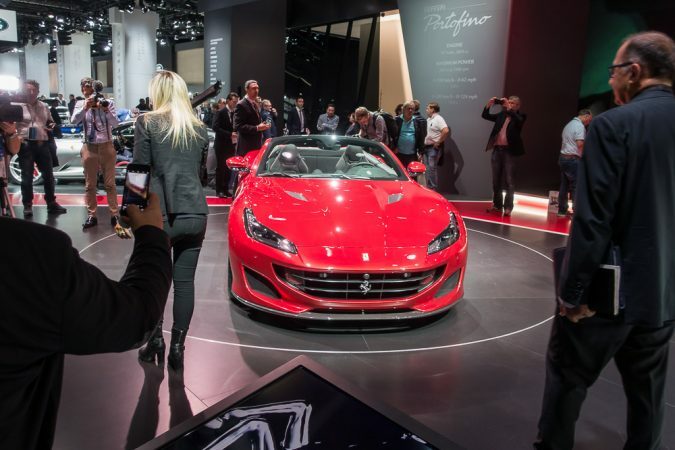 Ferrari is bold on this one, claiming that the Portofino is the V8-powered GT car that’ll dominate its segment, combining sportiness, suave and comfort to appeal to its buyers. The Portofino’s sobriquet reflects this fact as well, named after the beautiful town Portofino. In addition to the apt name, Ferrari went with a different shade of red as the Portofino’s launch colour, ‘Rosso Portofino’. Overall, the Portofino is more powerful, lighter and in turn faster and quicker than the California T. With a claimed 0-62 mph time of just 3.5 seconds, it’s a blitzing ‘entry-level grand tourer’. It’s still the same crossplane turbocharged V8, but the power bump shall prove to be lovely. Unless you have been living a few thousand feet below the sea level, it’s likely you have seen mentions of this car somewhere. 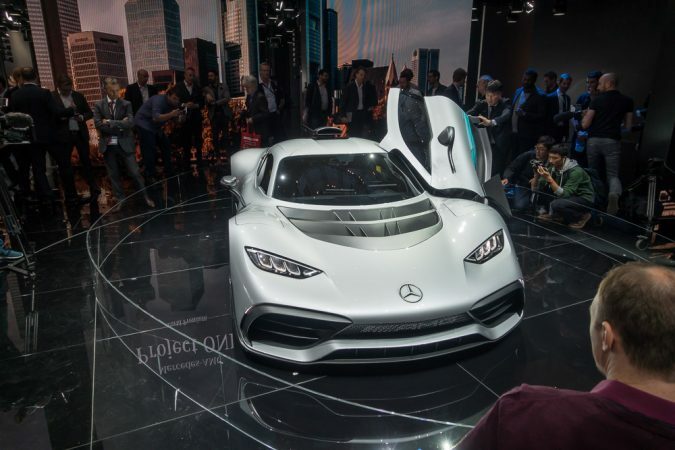 Named the Project One, it’s a road-legal futuristic effort from Mercedes-AMG to compete with the Aston Martin Valkyrie. It’s also expected to be in production by 2019. While the concept of competition before production is a new idea to me, it’s shaping up to be very interesting. While AMG and Aston Martin has a similar idea in terms of car deign, they have totally different approaches to the powertrain. Of course, both the ONE and the Valkyrie are very light, and boasts incredible aerodynamics optimized for the greatest amount of downforce. However, while the Valkyrie has a massive 6.5-litre naturally-aspirated Cosworth V12 reportedly putting out over 1100 horses mated to a Ricardo 7-speed dual clutch, the ONE is much different. 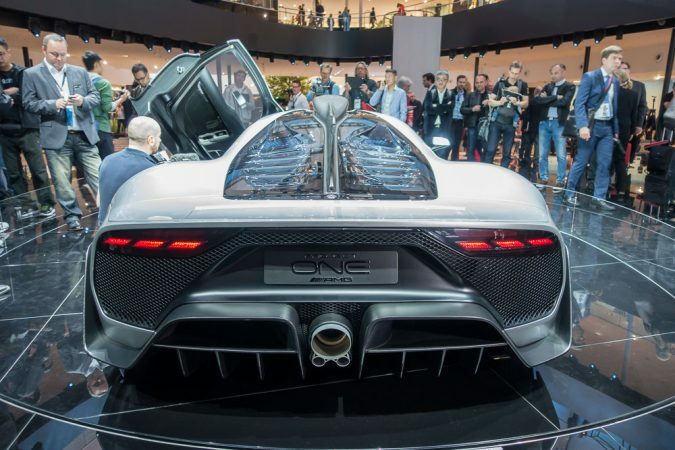 The ONE touts a 1.6-litre hybrid turbocharged crossplane V6, that’s from, get this, their contemporary F1 racer. Of course, it’s modified and tamed to conform within the confinements of the law. Nevertheless, it’s aided by 4 motors and a moon-high rev limit of 11,000 rpm. Thanks to that, it makes a claimed total of 1,020 hp. The engine drives an 8-speed single clutch automated manual, to keep weight down. It also has AWD. The ONE also has to be brought back to the factory to ‘refurbish’ the engine every 31,000 miles. Itching for one? There are two big underlying issues. One, F1 technology isn’t cheap, so you’d have to prepare over 2 million Euros for one. Two, it’s already sold out, with more orders than planned production units. 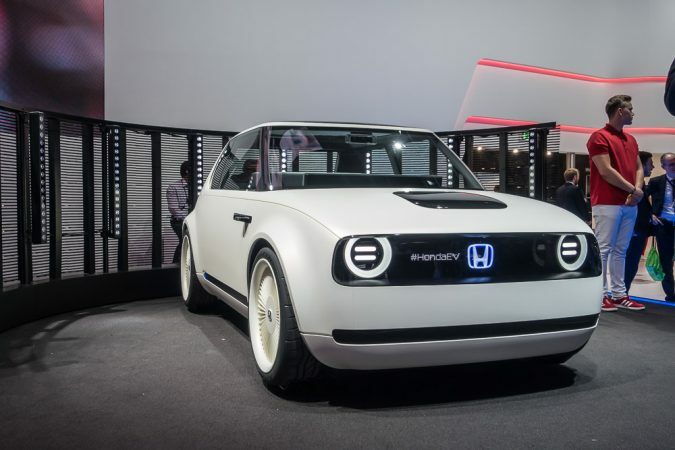 While details remain murky for Honda’s latest full-EV driven small car, it still received a lot of coverage for what it is now: A cool hark back to the past with a modern touch. Upon first sight, the Urban EV immediately reminds you of the provenance of Honda’s legendary compact, the first generation Civic. Only now, free from the rust issues that haunted the original Civic, and powered by motors. Of course, the Urban EV is really a demonstration of what to expect from Hondas of the future. Honda, being behind in the EV game, hopes to set things right and climb back onto the tracks. Those displays you find on the exterior of the car is there to explicitly display the state of the car. But let’s be honest here, what we really love about the Urban EV is undoubtedly the aesthetics of it. This modern-retro combination of simplistic, yet elegant lines ironically intrigues people the most. I mean, just look at those multi-spoke alloys! Honda says the Urban EV will be in production in 2019. While I doubt Honda’ll stick with all those ultra-futuristic dash displays and exterior screens, I’d be content if they decide to stick with the shape and design of the Urban EV. I think Bugatti’s accomplishment is worthy of mention. 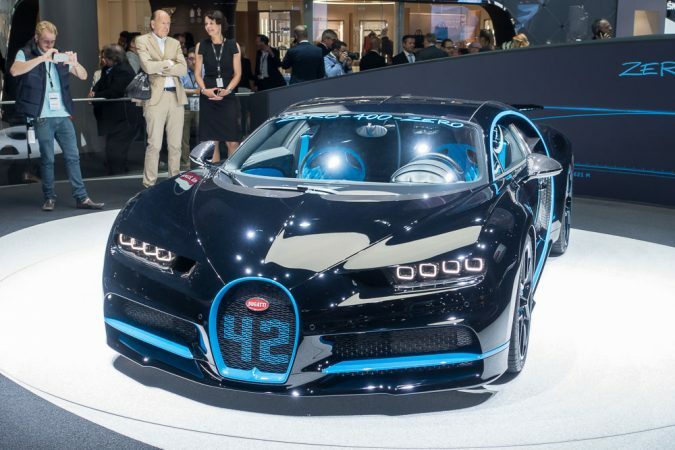 This Chiron you see up here, liveried beautifully proudly bearing a ’42’ on the grille, signifies Bugatti breaking the record for a 0-400-0 sprint. With Formula 1 driver Juan Pablo Montoya, this staggering feat was accomplished in 42 seconds. It took only 32.6 seconds to reach 249 mph from a standstill, and perhaps even more astoundingly, it then stopped in just 9.3 seconds. All of it in under 2 miles. Mind-boggling. Followed by that is Lamborghini’s unveil of their latest halo car. Cue the Lamborghini Aventador S Roadster. Painted in a beautiful shade of blue, this convertible Aventador is very much like the ‘normal’ Aventador Roadster, but turned up to 11. Featuring the now familiar L539 V12 that is further tuned to push 740 hp, the S Roadster touts numerous design changes. 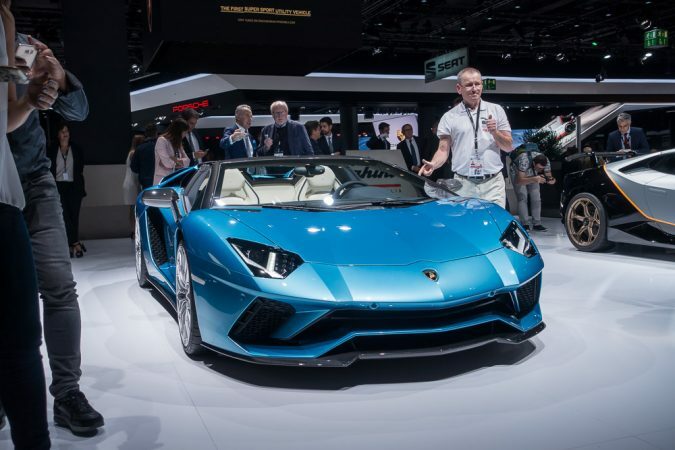 This means that the Aventador S Roadster is meaner, madder, and still bonkers. Comes with the inherent optional extra of being able to hear the V12’s symphony much better too. While it’s not that new I still think the Porsche 911 GT2 RS deserves a mention. This Porsche is made to be as extreme as physics allow, with plenty of exotic materials used to lighten and stiffen the car, roll cage, and a twin turbo 3.8-litre flat-six producing 700 hp. 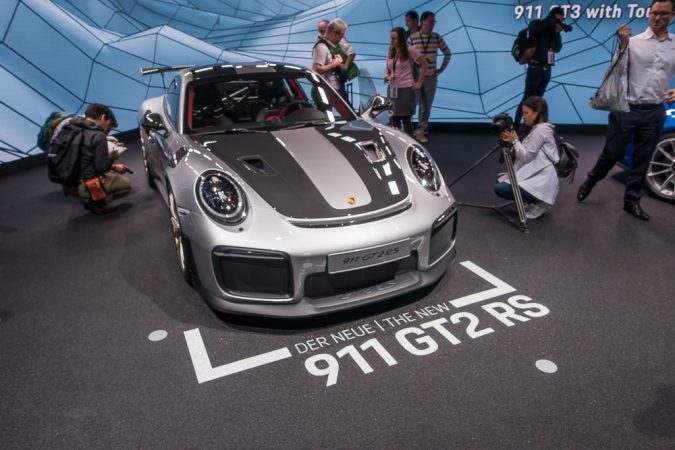 That engine is mated to Porsche’s 7-speed PDK helping the GT2 RS to go from 0-62 mph in 2.7 seconds. Of course, you can expect composite brakes, and a host of aerodynamic upgrades, such as the giant rear wing. 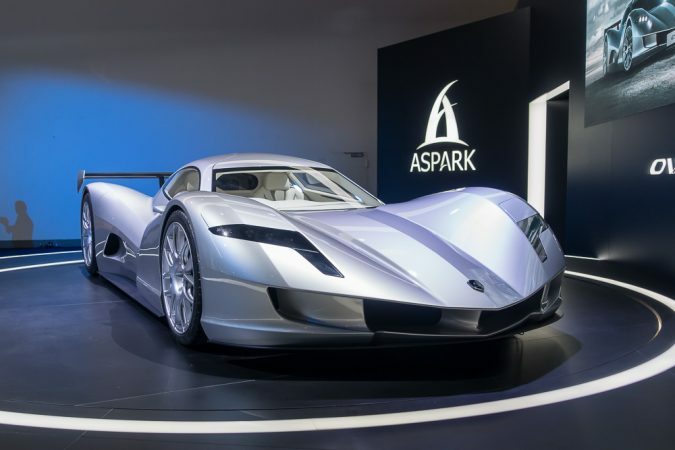 As a wildcard of the 2017 IAA show, Aspark, a Japanese supercar manufacturer, intends to partake in the race for neck-snapping EV power. It’s incredibly low-slung and slippery, yet remains as wide as an Aventador. The big claims are that it weighs 850 kg, and a pair of small motors that offers 429 bhp and 763 Nm of torque. They plan to achieve a 2 second 0-62 mph time. All very bold claims, we shall await to see what comes of this. There were so much eye-catching concepts, production models, and race cars on display, that I can’t possibly cover them all. Jaguar’s push to kick-start all-EV racing series, the striking Lexus LC500, BMW’s newest concepts, etc. That said, the 2017 IAA was spectacular. Walking around the show, it’s apparent that the push for sustainability is strengthening. 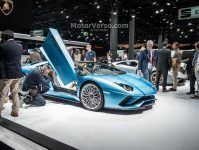 More importantly, it seems that manufacturers aren’t ready to sacrifice excitement just yet, with plenty of scintillating enthusiast cars on show. What else do you think is worthy of a shoutout? Write it out in the comment section below!